The first of its kind in Nepal, the ‘Indigenous Peoples Trail’ offers unique, living, exposure to one of the most culturally diverse areas of Nepal. The ‘Indigenous Peoples Trail’ offers scenic trekking at relatively low elevations, below 3000m. Bound by Thulo Sailung peak in the North, the golden Sun Koshi flowing along the South and the Tama Koshi in the East, the ‘Indigenous Peoples Trail’ presents an incomparable and natural blend of cultural, linguistic and ethnic diversity coupled with breathtaking Himalayan panoramas, stretching from Dhauligiri and Annapurna in the West to Numbur Chuli and Kanchenjunga, world’s 3rd highest peak in the East. The ‘Indigenous Peoples Trail’ is possible almost throughout the year, although the best season is October to December, and March to April when the Rhododendrons are in bloom. Against a magnificent Himalayan backdrop visitors gain invaluable insight to the culture and lifestyle of several local Indigenous Peoples including Tamang, Newar, Sherpa, Thami, Yolmo and Majhi. The two predominant religions, Hinduism and Buddhism, are ever present with the variety of gods and goddess, temples, stupas and monasteries. The ‘IP Trail' allows you to stay overnight in private homes in traditional villages far from commercialized tourist trails. Rooms in local houses are renovated, but otherwise expect a few tourist-style comforts. Host families are trained to prepare meals hygienically. When staying with a Nepali family guests live the life as the local people do, and are treated like part of the family. The homes reflect the traditional and simple atmosphere of the people. Apart from the pleasure of being amidst peaceful and serene environment, tourists can also enjoy the traditional folk dances and music presented by the local men and women in their colorful traditional dresses. The focus for the guests is on experiencing and learning from an authentic and enriched culture. Visitors are often involved in local activities that range from cooking classes through to attending a traditional wedding, watching a local cultural dance. 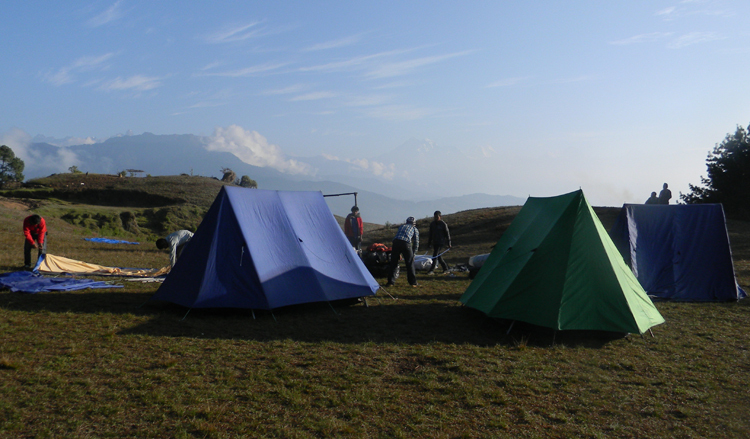 The Home-stay allows visitors to discover the real Nepal and to enjoy the untouched countryside. Unlike highly commercialized routes, trekkers walk through uninhabited areas and meet few fellow travelers. Target international tourists include repeat visitors, adults and children (soft trekkers), mediators, researchers, university and college students, backpackers/budget tourists and short-duration holiday makers. Target domestic tourists include university and college students, cultural researchers, and religious pilgrims and short-duration holiday makers. 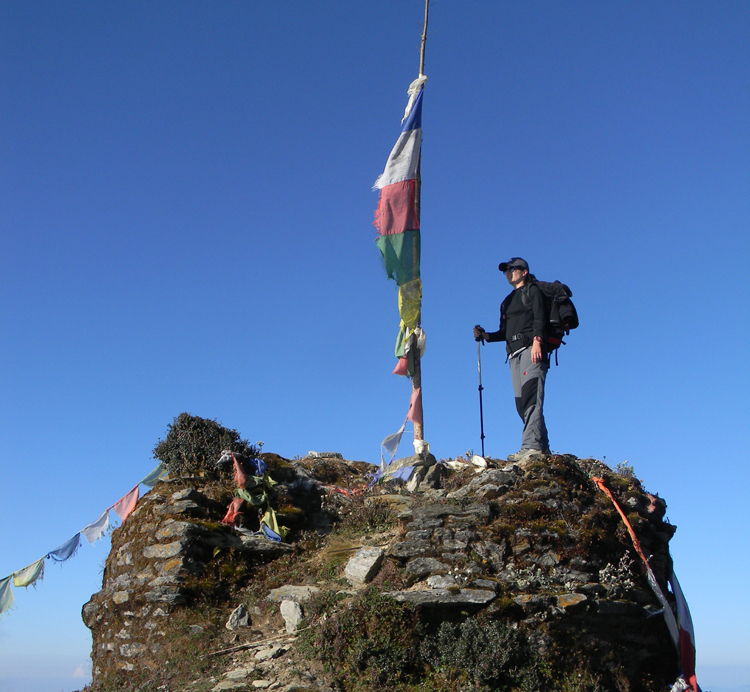 Rise early to reach the summit of Thulo Sailung as the sun rises over the Eastern Himalaya. At 3300m Sailung offers magnificent views over Kalinchowk to the Annapurna, Langtang, Ganesh Himal, Rowaling, Everest and Kanchenjunga ranges, to the South the Mahabharata hills roll over the Sun Koshi River and down to the Terai below. Thulo Sailung is regarded by the Tamangs as the abode of the territorial deity, Sailung Phoi Sibda Karpo, Sailung’s ‘White Male Lord of the Earth’. The Chorten atop the hill of Sailung is the seat of this divine protector and the Tamang Community is the ‘custodians of the land’. The souls of the ancestors together with the ‘Lord of the Earth’ guarantee the well-being of the people and the fertility of the soil. The four groups of stone Chorten on the summit are related to the Tamang Communities in the surrounding area – the groups on the highest point facing south over Ramechhap, today in ruins, are the largest. At the Chortens Buddhist Priests perform ‘Mandala offerings’ for the rebirth of the souls of the deceased. The lingoes surrounding the Chorten were erected during Tamang death rituals and are left there to succumb to the forces of nature. The main rituals held here are Buddhist offerings to the souls of the deceased. During the festival of Janai Purnima, held on the full moon of July/August during which is Tamang pilgrims crowd around the ruined Chortens at the highest point of Thulo Sailung. Nowadays, no blood sacrifices are permitted on Thulo Sailung. The shamans have surrendered to Buddhist Dominance and refrain from offering blood to the fierce female deities. Located below the summit of Thulo Sailung is Gaurighat cave, it is believed that on full moon nights ‘milk’ is said to ooze from the stalagtites inside the cave. The cave is believed to be a source of fertility and health. Pilgrims pray there for sons, relief from illness and for personal success and wealth. The cave is also considered the entrance to the netherworld, the realm of the Nagas serpent deity. Legend has it “when a yogi meditates inside the cave for five years, a door leading to the interior of the mountain appears”. A second cave locally known as ‘Buddha’s Gate’ or the ‘Door of Dharma’ has an exit hole that almost too small for human passage. Only the most devout Buddhists who have not committed any sins can pass. Squeeze through in the hope of ridding yourself of sin and emerge pure! The trail continues to descend where the spectacular 40 foot 'Thinghare' water fall crashes onto the rocks below. A short climb brings you to the beautifully terraced settlement of Surke where you will spend the night in one of five newly renovated homestays. Spend a day in the village, climb to the viewpoint of Gaurigaun or visit the endangered Thami Community. The local Thami bands are on hand to entertain and visitors can sample the local Raksi! Thangmi, known in Nepali as Thami, is a Tibeto-Burman language spoken by around 30,000 people in eastern Nepal. Unfortunately, much of this local knowledge is falling into disuse as fluency in Nepali increases and surprise the locals with a few words in their native tongue! As you leave Surke you pass through Thami Settlements before crossing over into the Doramba valley where the trail traverses along the forest covered hillside around to the terraced fields of Doramba. The trail leisurely follows the contours of the valley leading to the bustling Doramba Bazaar, where you can purchase cold drinks, snacks and music cassettes of local Tamang songstress, Shashi Moktan. Tonight you will sleep in a local homestay. Doramba is one of the largest Tamang settlements in Nepal, in fact, most of the Thangka painters found in Bhaktapur and Bouddha are originally from this remote village. Try your hand at a few words in Tamang with the Tamang Phrase Book. After a pleasant walk out of the Doramba valley, the route ascends to the sacred Hindu shrine atop Agleshwari Danda where you will be rewarded with stunning views of the Himalaya and the rolling Mahabhata hills below. Descend through the local slate mine, through pine forests to emerging at Galpa Bazaar. Perched on a pass between two valleys Galpa Bazaar is a bustling centre where you can purchase cold drinks and snacks, an ideal place to break for lunch. Perched on top of a 1977m peak, Khandadevi is situated around a captivating Hindu Temple complex encircled by ancient stone walls. The temple, dedicated to Goddess Khada Devi, was discovered in 1458 AD by a shepherd who discovered milk oozing from a sacred stone, an emanation of the Goddess Khandadevi. The site served also as a fortress during the Anglo-Nepal war. The setting is dominated by high hills of lush green Maharabharat Range with snowy peaks of Numburchuili and Gaurishankar on the northern horizon and southern views over the flat terai below. Daily animal sacrifices, Panchabale, are still carried out today. As of spring 2009, there is one homestay where you can spend the night. Leaving Khandadevi, the trail follows a long ridge with views down into the Terai on one side and up into the snow capped Himalayan peaks on the other. The trail traverses up and down through thick alpine forests before crossing into another valley. Amidst the forest you encounter an enormous rock adorned with a Shiva temple before emerging at Dhonghme, an ancient Yolmo or settlement, inhabited by many Lama's. The local Lama may show you his vast collection of Buddhist scripture and photo's from recent trips to Bodhgaya. Like the young Tamang's much of the Yolmo youth are employed as Thangka painters in Kathmandu. 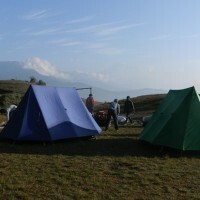 In the evening, make the gradual climb to the summit of Sunapati, well-know for its spectacular sunrises and sunsets. Here amongst the Buddhist Chortens and Hindu shrines you can enjoy sunset over the Himalaya before returning to the Gumba or homestay to spend the night. Arrival in Tribhuvan International Airport and meet with our airport staffs, then transfer to Hotel by private car. Welcome drinks and short briefing about your trip, relax. Overnight in Hotel. 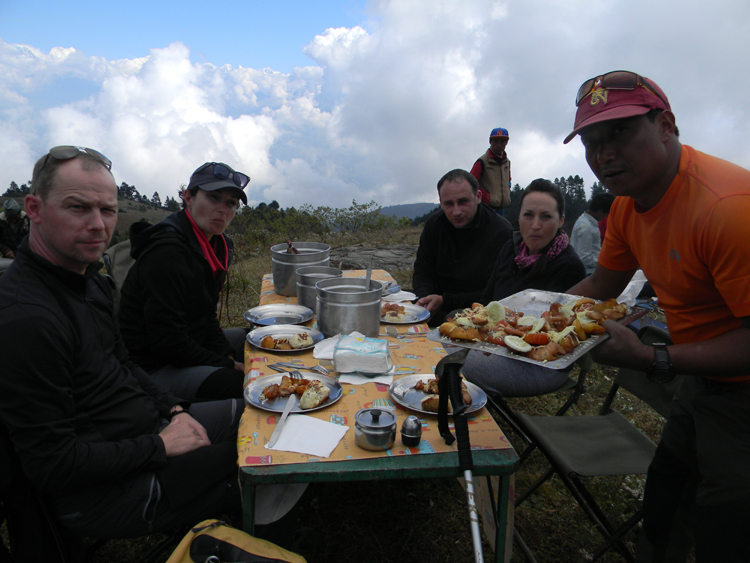 Meet your trekking guide to discuss the program and co-ordinate any last-minute arrangements. You will have time to visit Pashupatinath, Boudhanath Stupa and Swaymbhunath. The rest of the time you can use to explore Thamel and get any shopping for last minute equipment or other necessaries. Overnight in Hotel. You will travel by private land cruiser from Kathmandu to Mudhe and then to Dhunge Village which takes about 5 hours of driving. 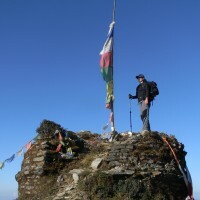 From Dhunge, it is a short 90-minute climb to Sailung hilltop. Following the short trail down to the Sherpa village of Khola Kharka you will spend the night in the newly established Khola Kharka Community Lodge run by local Sherpa and Tamang people. Overnight at Home-Stay. Morning after breakfast, you walk to Sailung at the altitude of 3,146 meters which offers resplendent views of the Annapurna, Manalsu, Ganesh Himal, Langtang, Dorje-Lhakpa, Rowaling, Everest and Kanchenjunga mountain ranges. The hillside village of Thulo Sailung is regarded by the Tamangs as home to their deity, Sailung Phoi Sibda Karpo, or “White Male Lord of the Earth.” Get an insight into their ancient ancestry and role as former border patrollers. Overnight at Home-Stay. Today’s tour descend Sailung Forest for Surkey Village where you will be invited to receive a blessing from the Lamas at Rajveer Monastery. Along the route you will pass through a Sherpa village and a Tamang village, each with their own Buddhist Gompas. Prayer flags, chortens and mani stones are scattered along the route. Native trees and birds will demand your attention. The trail continues to the spectacular 40-foot Thinghare Waterfall, then on to the beautifully terraced settlement of Surke. You will spend the night in one of five newly renovated Newari Homestays and visit the endangered Thami Community. A local Thami band will be on hand to entertain and visitors can sample the local Raksi, a traditional alcoholic drink. Overnight at Home-Stay. Experience the Thami cultural programme at Tinghare village before taking lunch at Deurali. You will trek through the Doramba Valley, where the trail traverses along forested hillsides to the terraced fields of Doramba. It is a leisurely hike that follows the contours of the valley, leading to the bustling Doramba Bazaar, where you can purchase cold drinks, snacks and music cassettes of a local Tamang singer, Shashi Moktan. Doramba is one of the largest Tamang settlements in Nepal and most of the Thangka painters found in Bhaktapur and Bouddha are originally from this remote village. Enjoy a superb evening of cultural performances before your overnight rest in a Tamang Home-stay. Overnight at Home-Stay. Leaving the Doramba valley, the route ascends to the sacred Hindu shrine of Agleshwari Danda, where you will be rewarded with stunning views of the Himalayas and the rolling Mahabharat hills below. Descend through a local slate mine, past pine forests and emerge at Galpa Bazaar. This bustling center is an ideal place to break for lunch. In the afternoon you will visit Khandadevi Temple, perched on top of a 1,985-meter (6,512-foot) peak and encircled by ancient stone walls. Dedicated to the Goddess Khada Devi, it was discovered in 1458 AD by a shepherd who saw milk oozing from a sacred stone, said to be an emanation of the Goddess. Overnight at Home-Stay. Rise before dawn to catch the sunrise as you trek towards Hiledevi. The trail navigates through thick and hilly pine forest. You will encounter birds and mammals, as well as the enormous rock that is adorned with an image of Shiva, before emerging at Dhonghme, an ancient Yolmo settlement. In the evening, you will climb to the summit of Sunapati. Here, amongst the Buddhist Chortens, you will enjoy a spectacular sunset over the Himalayas, before returning to the monastery lodge for an evening of Yolmo culture. Overnight at Home-Stay. After another magnificent sunrise, descend to the village of Lubughat on the golden Koshi River. You will be walk along one of the newly renovated Eco trails to reach the Sunapati hilltop. In Lubughat you will meet the Majhi people, renowned for their fishing expertise. You will be invited to join them on a Majhi fishing adventure and barbecue, followed by a cultural demonstration. Overnight at Home-Stay. A 45-minute walk through the valley brings you to Nepalthowk where you will catch our private land cruiser for the return drive to Kathmandu which takes 5 hours and transfer to Hotel. Day 11: Full day Sightseeing in world heritage sites with Tour Guide by private car. Our tour guide leads you again other world heritage sites like Bhaktapur Durbar Square and Patan Durbar Square. Overnight in hotel. Say farewell to your fellow trekkers and transfer to Kathmandu airport for your return flight home or onward your next journey.